In the March issue of Elle Bride Korea, 13 couples, including Yoon MiRae and Tiger JK, shared their romantic love stories as well as did a photoshoot just in time for the 130th anniversary of Tiffany Jewelry’s Setting Ring. Tiger JK was seen wearing a clean, crisp white shirt, with Yoon Mi Rae donning long braids covered by a wedding veil. They both wore gold watches and matching jewelry to display their hip-hop royalty status. When asked about why they did not hold a formal wedding ceremony (they did a small, laid back one with friends and family), they answered, “Rather than throwing a lavish event mainly focused on pleasing other people’s eyes, we put importance in living with laughter, with each other.”Their interpretation showed the true meaning of marriage. Although they’ve been married for more than 9 years (together for 13! ), Tiger JK & YoonMiRae act just like newlyweds – sharing the happy, sad, and tough times with each other and growing with one another. Other couples such as Sean & Jung Hye Young, and Steve J & Yoni P, will be featured in the March issue of Elle Bride to celebrate the 130th anniversary of the Tiffany Setting Ring. The Hanhwa Eagles’ new cheer song, “Eagling/Fly Like An Eagle,” by MFBTY was exciting news for most, but questions arose when The HanHwa company brainstormed the new anthem. Hip Hop? In a cheering song? Is that possible? 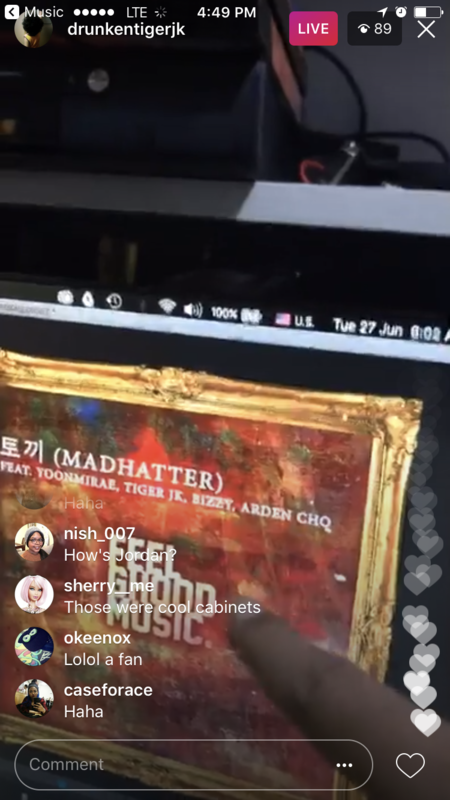 After MFBTY released their track, no questions remained. “Eagling,” proved MFBTY’s musical abilities once again and reaffirmed them as some of Korea’s top musicians. Most importantly, it helped reaffirm The Hanhwa Eagles’ position within the National Baseball League. With new recruit, Esmil Rogers’ spectacular defense, and now “Eagling” blaring on the speakers, the dedicated Hanhwa Eagles fans are flocking to the stadium and their TV screens. “Eagling” was inspired by the comments left on the fan pages and then embedded into MFBTY’s lyrics. With The Eagles recent brilliant performance and “Eagling” cheer song, it certainly looks positive for the team. Ever since its release, the fans had one request: make the song purchasable. The track, “Eagling” was such high quality that many requested it to be released as a single. However, due to the digital music market technicalities, the HanWha company were not able to release the track for purchase at first. Due to the ever increasing popular demand, Hanhwa Eagles and MFBTY mutually agreed to release the song, with all proceeds going to charitable organizations or other donations. “Eagling” full version was released on August 13, 2015. It can be downloaded via Itunes & Melon. 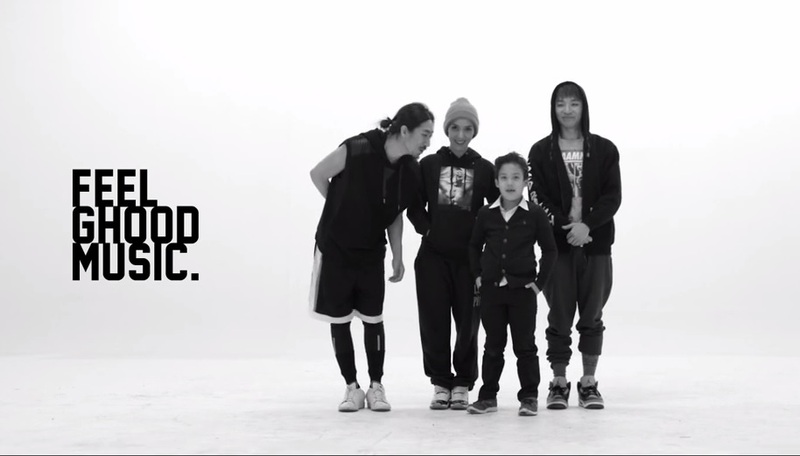 January 21st, 2013 marks the day MFBTY debuted officially as a group. As a gift, DT INTL team asked fans to send their own 15-sec clip clip congratulating them. The above video is a compilation of some of their most diehard fans, aka their angels. From us to them, Happy Birthday! We know there are more people out there who would’ve loved to be part of this, and we apologize we could not include everyone. If you would like to participate in future projects, email us drunkencamp@gmail.com. 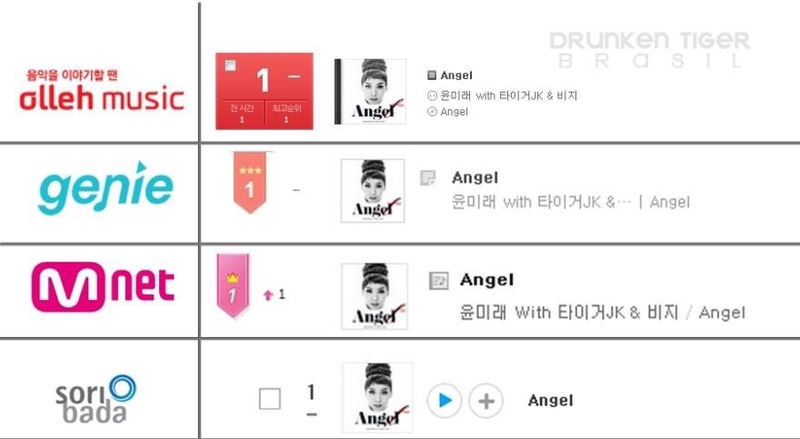 When we turned in last night, we already saw YoonMiRae’s “Angel” racing into the Top 5 on most of Korea’s music download sites. We woke up a few hours later, and she was sitting at #1 on four major charts: Soribada, Mnet, Olleh, and Genie. The queen sits on the throne again, with her king and prince right beside her. For US fans: “Angel” can be downloaded via Itunes for .99 cents. Ambitious fans can buy the single and album art for $9.99. December 8th, 2014 – After a year’s hiatus, MFBTY came back debuting under YoonMiRae’s name, now known as YoonMiRae ft. Tiger JK and Bizzy. (Update) The lyrics send a message of hope, as it chronicles the tribulations the three endured over the past year. It sends people the message that love can be found in almost anything–from a complete stranger to a a close friend. Thus, the inspiration for the end images of the trio with both personal and work (FGM) family. The three members have been boxing as a family hobby for the past 6 months, and they are not afraid to show it off here. Yoon MiRae also busts out some of her choreographed danced moves that we haven’t seen in years (and still has it down). Warning to all the ladies though, you may need to sit down before you watch this as there are some good looking men parading around in this video. Thanks to FGM’s resident MV director, Lumpens, we have an idea what happened the day of the “ANGEL” MV shoot. Our crew seems to have some dance moves we didn’t know about. Okay, we knew Tasha busted moves in her olden Tashannie days, but 15 years later she still got it! And remember during the TVN “Welcome To The Jungle” special when everyone said Tiger had some *interesting* dance moves? Well, now you can judge for yourself.